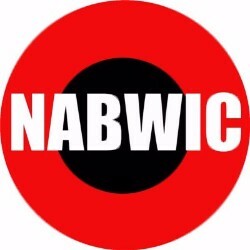 Wednesday, April 24 @ 6 PM (and every 4th Wednesday): National Association of Black Women in Construction (NABWIC) Meeting. Thursday, April 25 at 12 noon – 1 PM: Small Groups – Faith at Work. Email Bobby Burton for more information. Tuesday, April 30 at 3 PM (part 2 of 3): Business Succession Planning: Key strategies to Protect and Respect your Business! Thursday, May 2 at 3:30 PM (and every First Thursday): SpaceLab members gather in the community kitchen on first Thursdays to Celebrate the Win – new clients, new business, birthdays, good press – accomplishments and milestones big and small. – Floor To Floor Noise – Why should you be concerned? To join us for this lunch presentation, send an email us with your first and last names, company name (if applicable), and your role in the design and building industry (interior designer, property manager, architect, real estate developer or other). You will receive a password for complimentary ticket access. Monday, May 6, 2019 5:30 PM: Content Marketing Mondays with Karen Burton (@buildingsource): Develop your content marketing strategy for your blog posts, social media, website and other sites. Tuesday, May 7 at 3 PM (part 3 of 3): Business Succession Planning: Key strategies to Protect and Respect your Business! Born out of the Capital Impact Partners Equitable Development Initiative, R.E.A.D. has taken steps to create an organization to carry forward the spirit of the CIP EDI and empower minority developers in Detroit to ensure the developer base more accurately reflects the city’s diversity and delivers projects that truly serve its diverse population. R.E.A.D. is 1 501c3 organization seeking new members. No cost for entry. Appetizers and Beverages will be provided with donations appreciated. Friday, May 10 @ 12 noon. Lunch + Learn with Ciot – Product and Industry Trends. Ciot is well known for its impressive selection of products, many of which are exclusive to Ciot. Established in Montreal in 1950 by founding President Giovanni Battista Ciot, the company initially manufactured terrazzo. With time, Ciot began importing natural stone and ceramic products. Bring your devices and get a hands-on demonstration of how PlanGrid can boost your construction team’s productivity. Thu., 04.25: WOF Small Group – Faith at Work.Email Bobby Burton for more information and to sign up. 05.01 – 06.07: Applications accepted for Michigan Women Forward :: Woman Up & Pitch Competitions. First place wins $10,000. Facebook Scholarships are available through Grand Circus. Apply today!